Moving people who are in nursing homes or hospitals or who are otherwise suffering from permanent or temporary mobility impairment, requires manual handling. This can be for simple things like how they are sitting or lying to reduce the risk of pressure sores, to moving them from their bed into the bathroom or from their mobility chair back into bed. Many workplaces in Sydney have a “no lifting” policy and all manual handling of people must occur with the use of proper equipment. These are used to transfer people in and out of beds, cars, and pools. 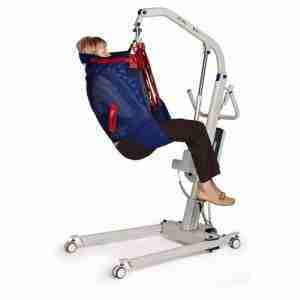 They can be portable or fixed and come in a range of sizes, with different lift capacities. 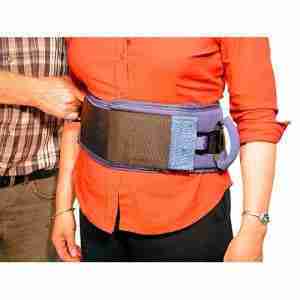 Slings are used to support a person’s weight, allowing you to be safely and comfortable supported. It is very important to ensure that the correct type and size are selected, so please make sure you speak to our team about booking a consultation and demonstration. 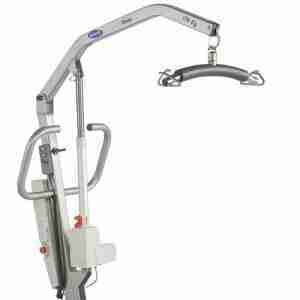 Transfer aids are various types of aids used to help transfer people from beds and chairs. They vary from simple slide sheets; to slide boards and more sophisticated turners and transfers. Before undertaking any manual handling of a person, you need to ascertain that the person can comprehend what you are saying and will be reasonably cooperative. If possible, see if they can help you carry out the task. Always check the condition of your equipment and ensure it is in good repair and is well maintained. If you are in a management or HR position, you should check to make sure that all of your staff are trained in manual handling with equipment, and if they aren’t, you need to ensure that they become proficient prior to attempting any lifting of patients. Please call us on (02) 9520 1866 or contact us online if you need any information about our range of manual handling products. We can also book a demonstration and consultation of our products, to help you become familiar with them and how they work.